LONDON, Apr 23 2018 (IPS) - A new exhibition that opened April 5 at London’s famous Victoria and Albert museum of ancient treasures looted from Ethiopia has revived debate about where such artifacts should reside, highlighting the tensions in putting Western imperialism in Africa and the past to rest. 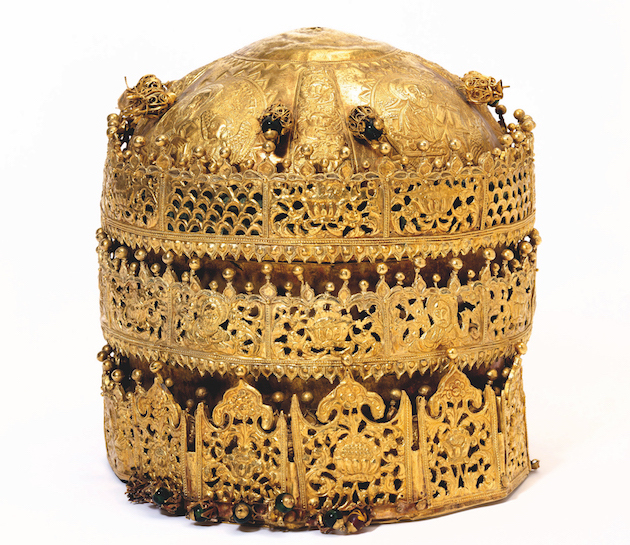 The exhibit comprises 20 royal and religious artifacts plundered during the Battle of Maqdala in 1868, when a British force laid siege to the mountain fortress of Ethiopian Emperor Tewodros. After their victory, the British force was at liberty to take what it wanted. The scale of the treasures stolen by the army isn’t widely known—inside the British Library are hundreds of beautiful Ethiopian manuscripts taken too. While the argument for returning such artifacts appears strong, and perhaps obvious to most, legal issues surrounding a museum’s responsibility as a global custodian, as well as how best to make items available to the public, make the matter more nuanced than it seems. Hence efforts over the years by those like Richard Pankhurst, recognised as arguably the most prolific scholar in the field of Ethiopian studies, who helped found the Association for the Return of the Ethiopian Maqdala Treasures (AFROMET), and focused his efforts on the roughly 350 Maqdala manuscripts that ended up in the British Library. Tewodros had the country scoured for the finest manuscripts and collected in Maqdala for a grand church and library he planned to build. 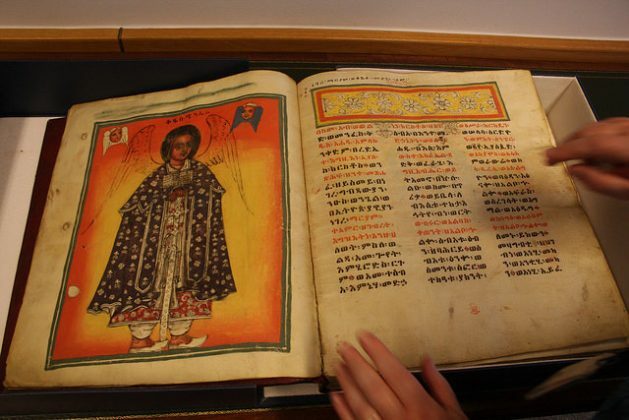 “They are so lavish as they were made for kings,” says Ilana Tahan, lead curator of Hebrew and Christian Orient studies at the British Library, whose staff take their duties of guardianship as seriously as those trying to get the manuscripts returned to Ethiopia. Tewodros had actually admired Britain, even hoping they would help develop his country. But a perceived snub when Queen Victoria didn’t reply to a letter of his, led to him imprisoning a small group of British diplomats, resulting in General Robert Napier mounting a rescue mission with a force of 32,000. On Easter Monday, 13 April 1868, with the British victorious in the valleys surrounding his mountaintop redoubt Maqdala and about to launch a final assault, Tewodros bit down on a pistol—a previous present from Queen Victoria—and pulled the trigger. In Ethiopia today, Tewodros remains revered by many for his unwavering belief in his country’s potential, while the looting of Maqdala continues to spur the efforts of AFROMET and others continuing the activism of Richard Pankhurst. “Though Richard was unsuccessful with the British Library manuscripts, there was the return of a number of crosses, manuscripts from private collections,” says his son, Alula Pankhurst, himself a historian and author. 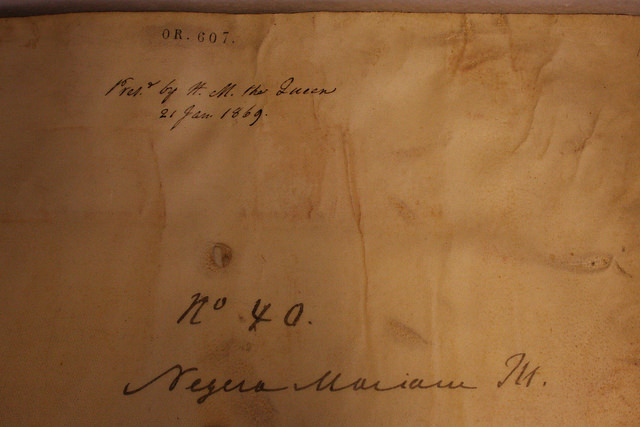 Alula Pankhurst notes that the family of General Napier recently returned a necklace and a parchment scroll to the Institute of Ethiopian Studies. But such technology is also seen by those at the British Library as a reason why the manuscripts can remain where they are. “We have both a growing opportunity and growing responsibility to use the potential of digital to increase access for people across the world to the intellectual heritage that we safeguard,” says Luisa Mengoni, head of Asian and African collections at the British Library. One of the items in the V&A exhibit: a gold and gilded copper crown with glass beads, pigment and fabric, made in Ethiopia, 1600-1850. Photo courtesy Victoria and Albert Museum, London. The British Library is continuing its efforts to make the manuscripts accessible to the public through new exhibits. And during the next two years the library plans to digitise some 250 manuscripts from the Ethiopian collection, with 25 manuscripts already available online in full for the first time through its Digitised Manuscripts website. “The artwork suffers when it is digitalised, plus many of the manuscripts have detailed comments in the margins—there are many reasons scholars need to attend to the originals and which are not met by digital copies,” Andreas says. But the return of the manuscripts is actually out of the library’s hands. New legislation would have to be passed by the British Parliament for the manuscripts, or any artefacts held in British museums, to be returned. The complex issue of repatriating looted objects has rumbled on in Europe and the United States for years without much resolution, though now there appears an increasing openness to engage with the issue, both on the part of major Western museums and governments. But that’s still not good enough for others. “The restitution of Ethiopian property is a matter of respecting Ethiopia’s dignity and fundamental rights,” says Kidane Alemayehu, one of the founders of the Horn of Africa Peace and Development Center, and executive director of the Global Alliance for Justice: The Ethiopian Cause.